Costco is a form of heaven for me. Every time I go I must graze very slowly down every single aisle to make sure they did not put something new and amazing on the shelves, and perhaps partly to irritate my husband haha, just kidding! I used to buy the big beautiful glass jar of roasted peppers from Costco for $10 when I realized that a) I really like roasted peppers and therefore I needed to purchase this jar every two weeks. I’m no mathematician but I’m pretty sure that works out to over $20 a month on peppers….b) Surely there must be an easier and more cost effective way to enjoy these roasted strips of goodness. My great friend Google taught me that there is in fact several ways to roast your own peps. I decided to try out my own roasting and honestly, I will never go back to buying them ever again. Sorry Costco…I still love and support you. Now I do not have gas elements on my stove and even if I did…I would probably prefer the old fashioned method anyway. Something about a process that takes a little bit of time always makes me think the end result will be worth the wait. In pepper terms, I was right. Now do not scurry away at the sight of “takes a bit of time.” It does not take long at all-and I can easily roast two batches while preparing other foods at the same time. It’s all about multi-tasking. Now, let’s get down to the juicy business. You’ll want to preheat your oven to 400*F.
Place your peppers on a baking sheet covered in parchment paper. Cook for ~40 minutes and rotate the peppers every 10 minutes or so during that time. The peppers are done once the skin is wrinkled and charred. Remove cooked peppers from the oven and place a large glass bowl or aluminum foil over them for at least 15 minutes. Once the peppers are cool enough to handle, cut off the stems and cut into quarters to deseed. Peel the skin off the peppers. 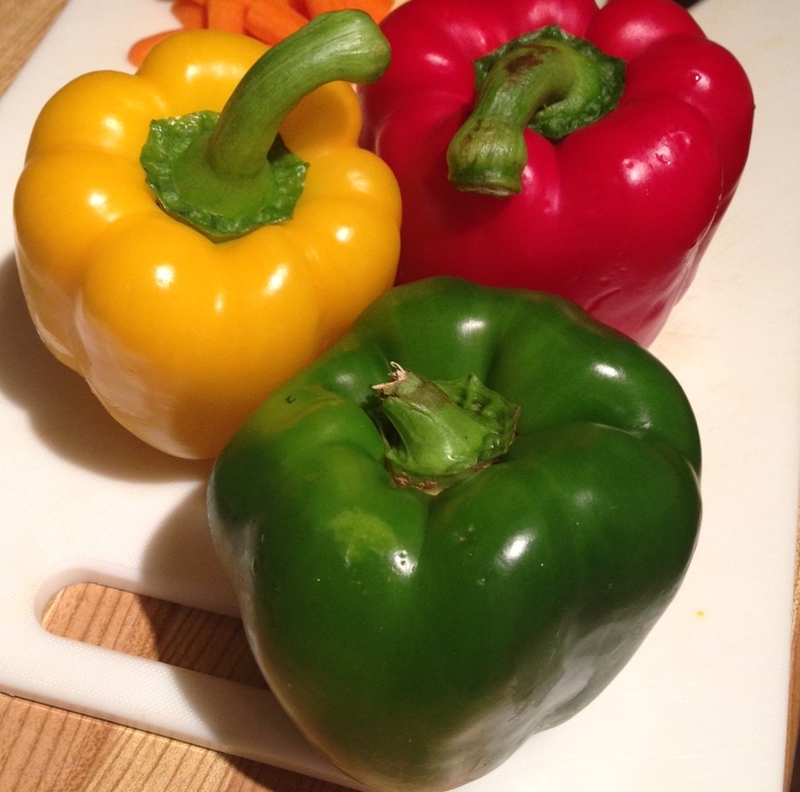 Cut the peppers into thinner strips if you desire, or leave them in quarters. Place the pepper pieces in a glass jar. Squeeze the pepper skins on top and pour in any extra juices. Cover the peppers with extra virgin olive oil. Place a few garlic cloves cut into halves lengthwise into the jar if desired. You can also add some vinegar and sea salt however I personally omit those two. Store in the fridge for up to two weeks. The oil will solidify but that’s ok. Just take the jar out as soon as you know you will be using some peppers to allow some time to soften.